Happy Holidays & Happy New Year | Shelby White - The blog of artist, visual designer and entrepreneur Shelby White. I appreciate all of the support this year. I’m looking forward to next year and what we can make happen. Remember to sign up for the bloglist in case you missed it last month. 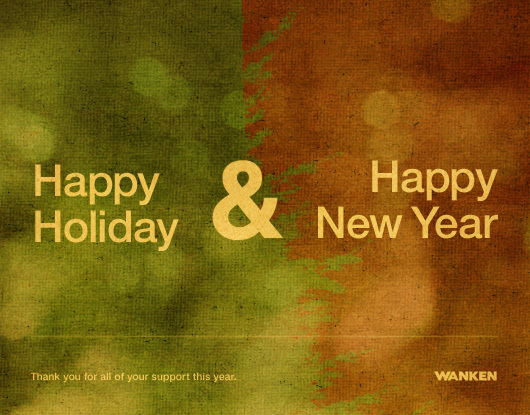 Once again thank you for all of your support this year and have a happy holiday. Yo Son…keep doing your thing, because it is definitely fresh. You have a good Christmas to and remember to appreciate the little things and the people around you, because they might not always be around. Much support from us, keep it going. Hey man, have a great new year! We’ll catch up soon.